Here are the top stories from the October 2015 issue of Entrepreneur magazine. Having multiple job titles or keeping a ‘slash career’ is fast-becoming a trend with the growing demand in the labor force. But for most entrepreneurs, this is nothing new, especially when one maintains a career while managing a business on the side. The latest issue of Entrepreneur magazine dives into the multi-faceted roles of entrepreneurs. 1. For this month’s cover story, Entrepreneur Philippines shares different stories of celebrities who have managed to keep a successful career and run their own businesses without compromising the other. These stars talk about their growing pains in the business industry and their strategies for success. 2. If you feel stuck in a rut with your nine to five job, going freelance sounds appealing. The latest issue tackles different professionals who left their day jobs to pursue their passion, and others who made their hobbies as sources of additional income. 3. But for others who have been eyeing for going full-time with their businesses, we laid down seven important pointers before you take the jump and become your own boss. 4. We also rounded up four stellar Filipino inventions which solve basic problems, from lighting sources in rural areas to keeping homes afloat in times of flood, redefining the future roles of social enterprises in the country. 5. Managing a single franchise is already hard work, what more if you have to manage three at the same time? This month’s Franchise section talks about the pros and cons of expanding the company with new business concepts. 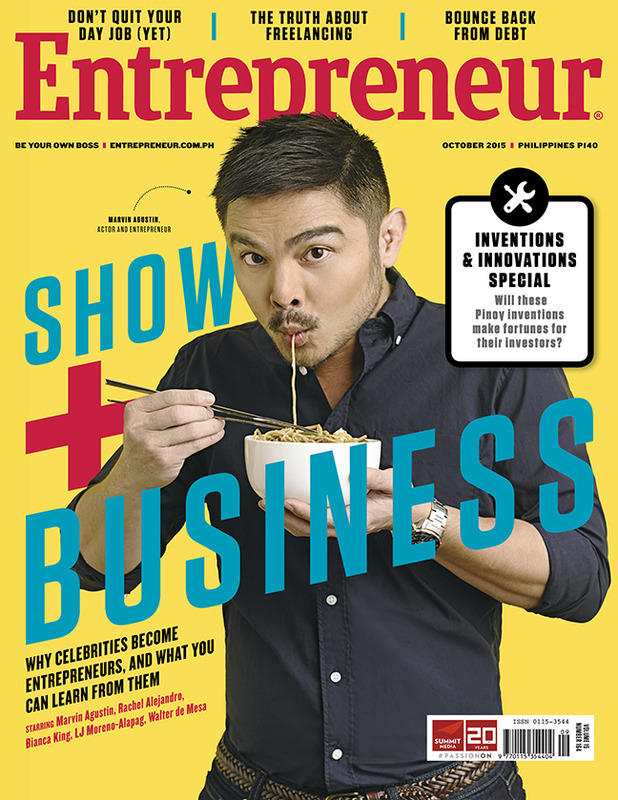 Entrepreneur magazine's October 2015 issue is now available at newsstands and bookstores nationwide! There are two covers, one for print and the other for digital. 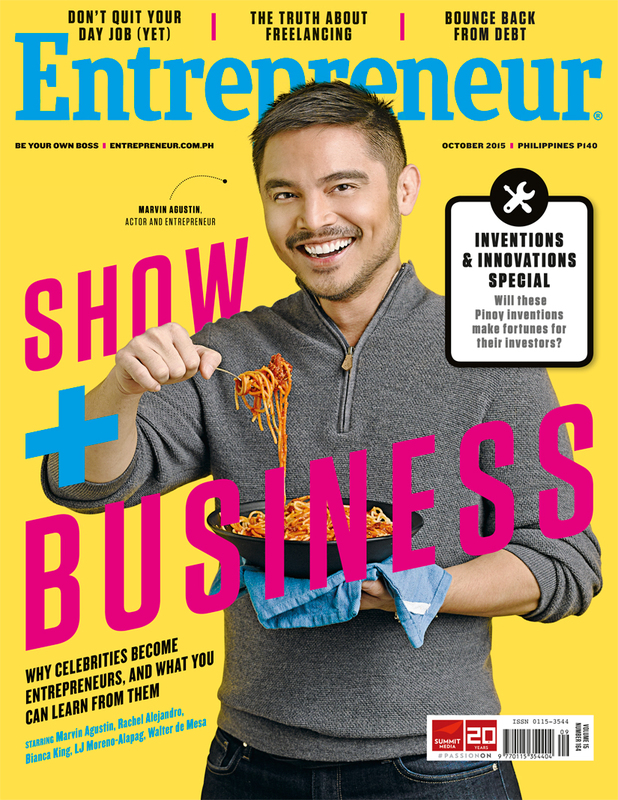 You may also download the digital copy through http://bit.ly/entrepreneurph. For Apple users: http://bit.ly/entrepmagapple; and Google Play Store: www.bit.ly/EntrepreneurPHandroid.